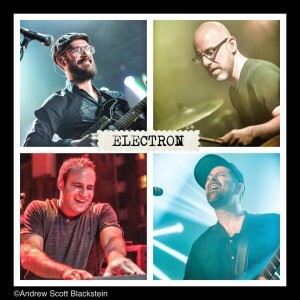 The musically charged super-group known as Electron hits the Westcott Theater in Syracuse on 10/18. 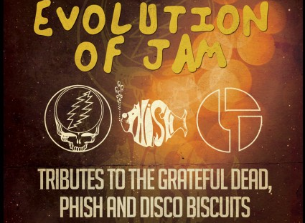 The particles that make up this magnetic group include Marc Brownstein on bass (The Disco Buscuits), Aron Magner on keys (The Disco Biscuits), Tommy Hamilton on guitar (Brothers Past), and Mike Greenfield on drums (Lotus). Electron has been all the talk in the tri-state area since their most recent mind blowing performance at this years Catskill Chill Music Festival. For a free download of their Catskill Chill set click here. 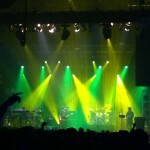 For a free download of their Catskill Chill set click here. Special guests for the night include, three-piece instrumental band reigning from upstate NY, SOLARiS, psychedelic break-beat artist Horizon Wireless and Ocupanther. Special guests for the night include, three-piece instrumental band reigning from upstate NY, SOLARiS, psychedelic break-beat artist Horizon Wireless and Ocupanther. 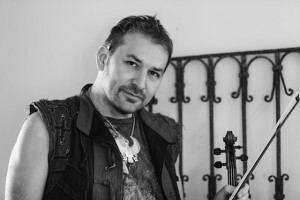 Formed in 2010, SOLARiS is a 3 piece all-instrumental band that hails from upstate New York. The members of SOLARiS have created a bevy of original compositions that range from electronica to breakbeats, jazz fusion to funk, & much more. Each of these compositions vary in speed, genre and style, but all of them are used as blank slates to showcase the Trio’s explosive improv and electronic experimentation. While from show to show many of the songs remain the same, no two SOLARiS shows will ever be alike. The band strives to create new and interesting twists on their material for their constantly evolving live shows; whether it’s monster transitions, new improv jams or the occasional recognizable cover, it’s safe to say that SOLARiS is an entity that never stops growing and changing. Horizon Wireless is a DJ (Harrison Waxenberg) from NYC that blends psychedelic break-beat music with a variety of other styles including trip-hop, minimal tech house, and electro/trance to create high energy dance sets. Seamlessly using elements from all across the sound spectrum, weaving together unique mixes for each show and create a storm of soul smashing beats, titillating harmonies, and wet melodies. This sonic tsunami can easily induce multiple crowdgasms, so bringing a towel to shows is not only recommended, but encouraged as well. Between winning the GRC Mixtape Competition; directly supporting acts like Hallucinogen, Conspirator, Brother’s Past, Future Rock, BoomBox, DrFameus, and Zoogma; and rabidly building a grassroots following all around the Northeast, 2011 was a huge year for him. Be sure to catch him this year as they are showing no signs of slowing down. The legend of the Ocular Panther is one of the most ancient and seldom told. Stories of the great beast can be found as far back as history has been written. These shape-shifter myths can be found all over the world from China to Iceland and Brazil to Haiti. They are said to be able to enter one’s being through eye contact, hypnotizing the mind and terrorizing the soul.